There are a lot of beautiful places in San Francisco, and many of them appear in my novel “Solitude”… although, granted, they are frequently on fire or infested with feral rats, cats and dogs that want to tear your throat out… they are beautiful, nonetheless. This blog is dedicated to some of those beautiful locations. 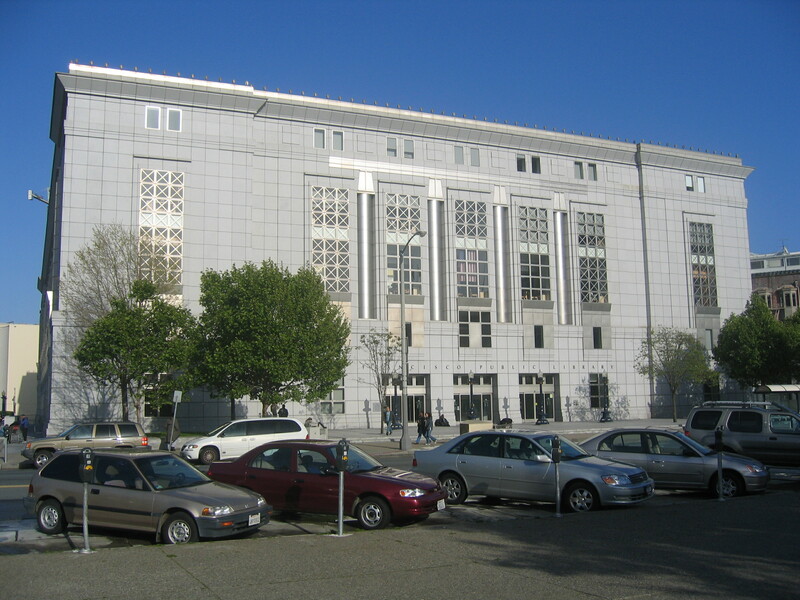 One of our heroes, Gerry, is a homeless guy who sleeps outdoors in the Civic Center area near the San Francisco Main Public Library (http://sfpl.org/). The building’s exterior architecture, while interesting, is no where near as exciting to me as it’s interior. 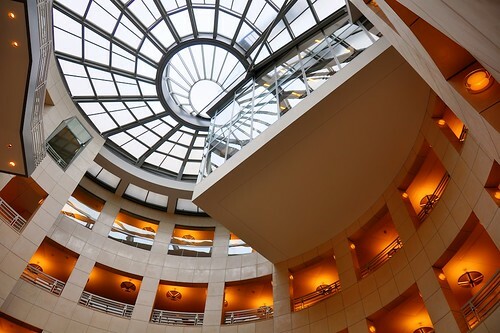 The inside of the library centers around a spiral shape encasing a sunny domed atrium. The building itself is square, but is filled with numerous windows, creating an atmosphere filled with natural light. The spiral shell logo for the building depicts the view of the ceiling looking from the ground up. Now doesn’t it all sound a lot less scary now that you know that Gerry is underneath the gorgeous skylight shown to the right while running away from the homicidal canines? 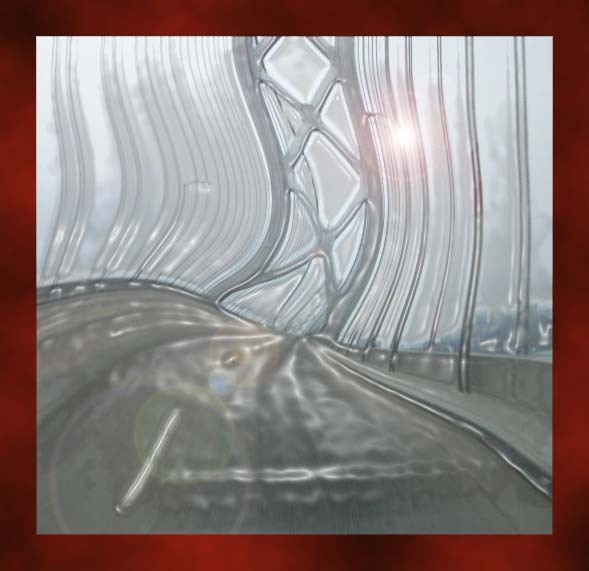 Another memorable moment in “Solitude” was the point where Shane, another character, was crossing the Bay Bridge when all of the sudden… everyone on the bridge disappeared. But see.. their cars didn’t disappear, so Shane was forced to do some emergency demolition-style driving through the crashing, burning vehicles as they smashed into one another and piled up in various dangerous configurations due to their recently attained driver-free status. 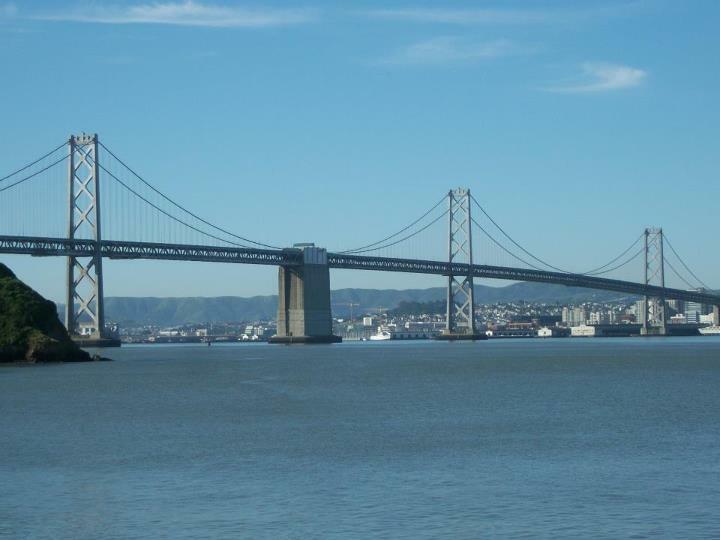 Not long ago… back in October 2009, a cable on the Bay Bridge snapped, and the bridge was closed for a while during repairs. 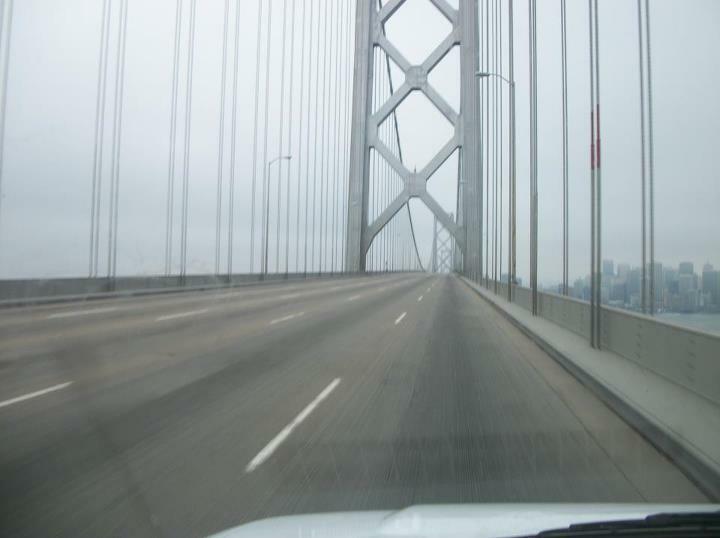 I can neither confirm nor deny that is why the bridge was so empty when my friend Sick YG took this eerie photo of the empty Bay Bridge. Doesn’t it sound a lot more relaxing knowing it was all happening with the gorgeous views of San Francisco and Alcatraz Island as a scenic back drop, on the beautiful bridge in the photo? ~ by Sumiko Saulson on September 1, 2012.